A tropical oasis has blossomed inside Manhattan’s concrete jungle. 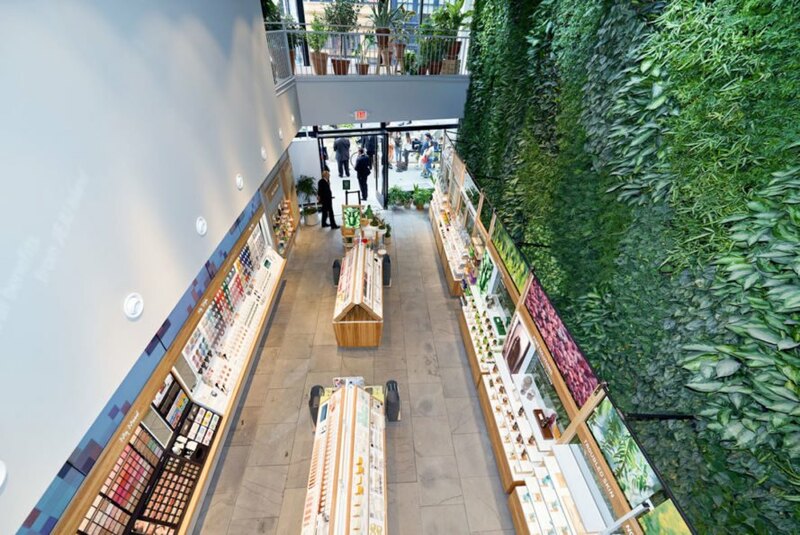 Greenery NYC recently unveiled the city’s largest public living green wall in Korean beauty brand Innisfree’s flagship store in Union Square earlier this month. Lush, textured, and evergreen, the beautiful 1,820-square-foot wall grows nearly 10,000 plants with eleven different tropical varieties that can be enjoyed year-round. 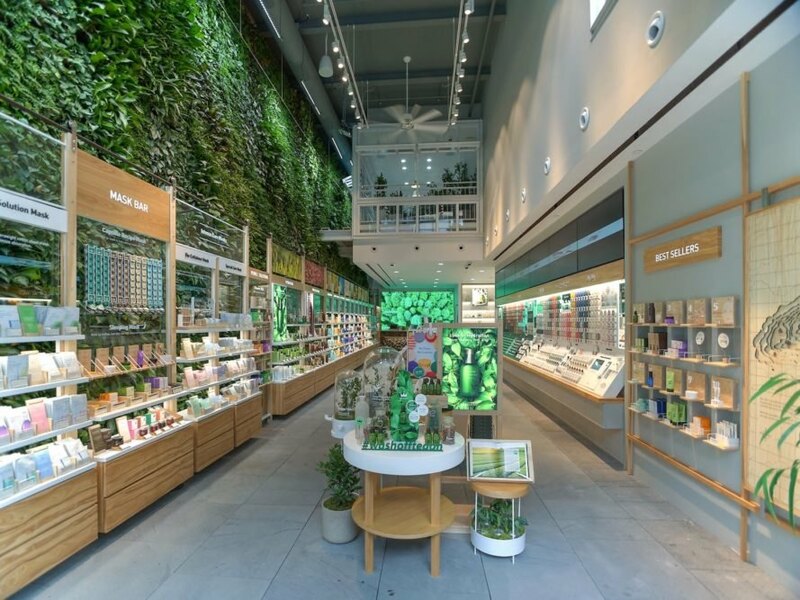 Korean beauty brand Innisfree prides itself on its use of natural materials and is no stranger to the use of green walls in their shops. 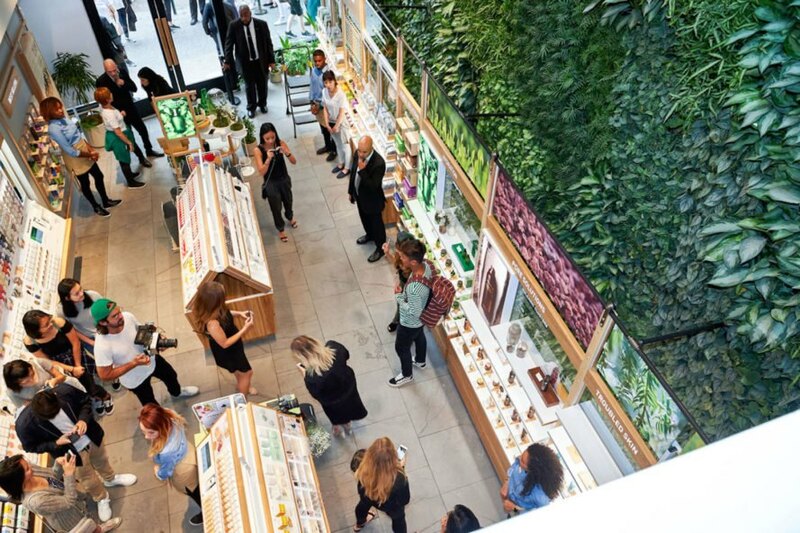 The living wall at this new Union Square location, however, is at a much larger scale than the company typically handles. Measuring 76 feet in length and 24 feet in height, this lush living wall of plants fills up an entire wall and is equipped with a custom-designed irrigation system that minimizes water use and maintenance. “Construction is already a difficult process with many moving parts, but when you factor in almost 10,000 living organisms that each need individual care to stay alive during the build out, it almost feels like you’re trying to juggle while walking a tight rope,” said Adam Besheer, Director of Operations at Greenery NYC. “Seeing the finished product is an incredible reward though—we’re excited to work with a company that shares our values, and for the chance to once again introduce the enormous beauty of natural plant life in the city.” Greenery NYC, which creates plant-filled multi-sensory sanctuaries in the city, has also created similar lush green walls and projects for high-profile clients such as Etsy, The Brooklyn Nets, and TED Talks. 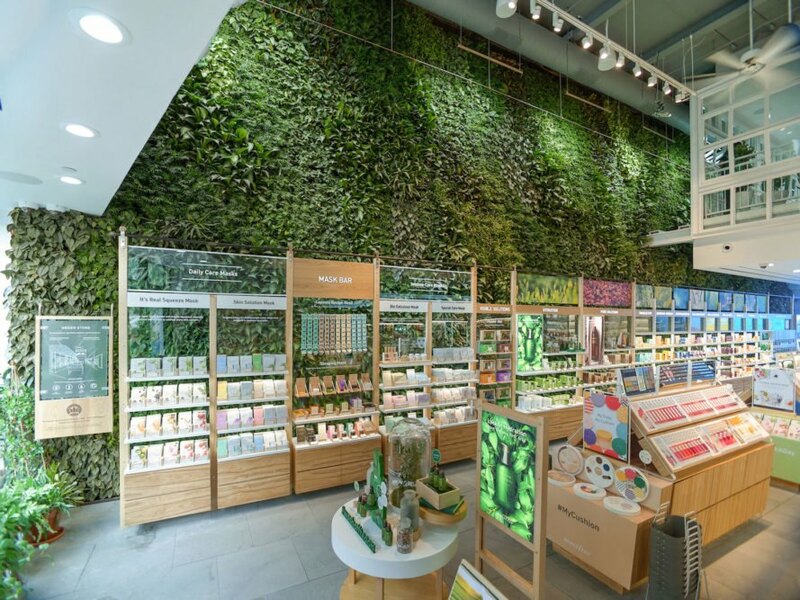 Korean beauty brand Innisfree prides itself on its use of natural materials and is no stranger to the use of green walls in their shops. The living wall at this new Union Square location, however, is at a much larger scale than the company typically handles. 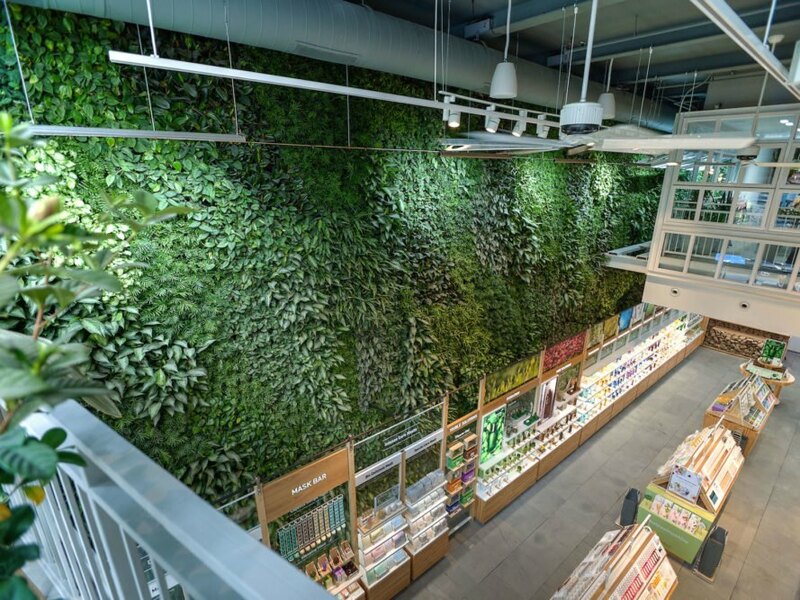 Measuring 76 feet in length and 24 feet in height, this lush living wall of plants fills up an entire wall and is equipped with a custom-designed irrigation system that minimizes water use and maintenance.